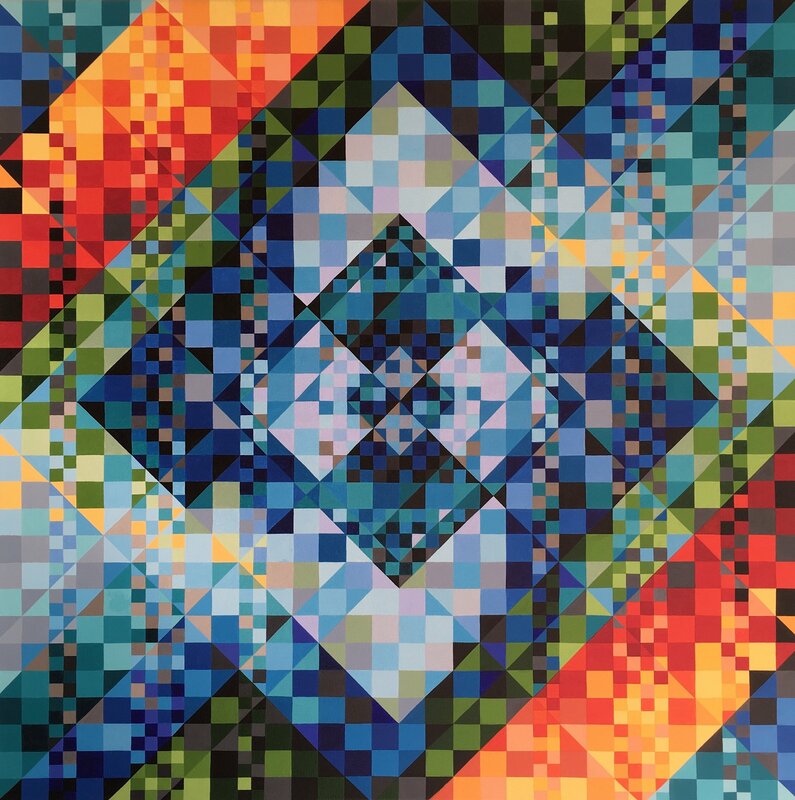 London-based artist Nina Baxter produces geometric abstract paintings that focus on the interaction of colour. Baxter graduated from The Courtauld Institute of Art with a BA in Art History. Currently working from a studio in Peckham’s Bussey Building, her abstract paintings draw inspiration from landscape, architecture, photography and music. 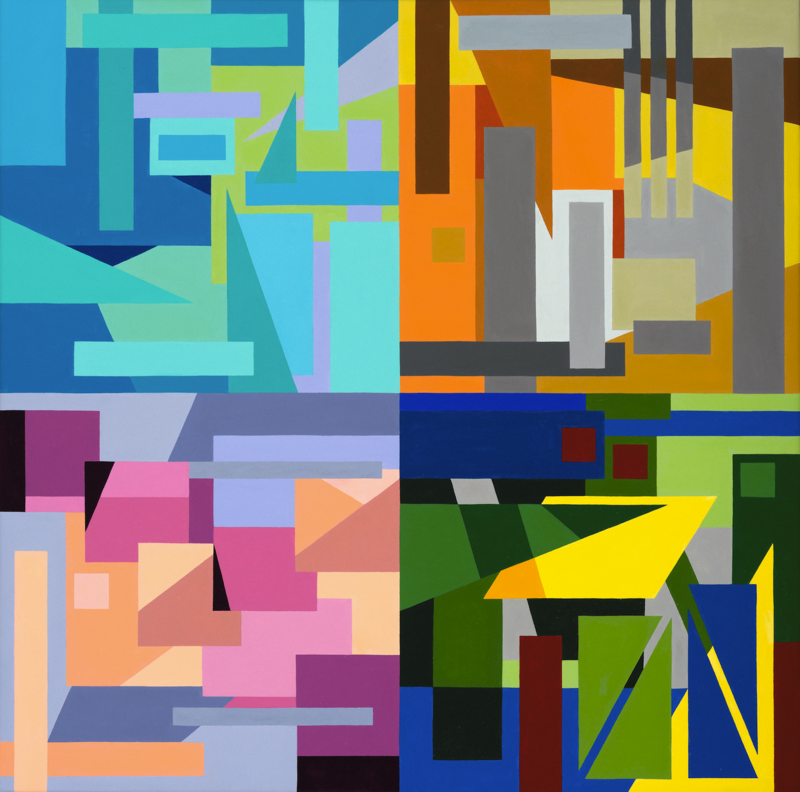 Baxter often uses collage as a drawing technique and method of arranging compositions. With a focus on clean lines, bold complimentary colours and geometric shapes, Baxter’s work is heavily influenced by her background in Art History.